Ornamental trees and garden plants are essential for enriching the appearance of any landscaping job. An ornamental tree is one you use as part of your landscape for purely aesthetic reasons. Some examples of ornamental trees and plants include lilies, roses, lavender, and morning glory, as well as pink oak, plum, and cherry trees. For your landscaping job to look its best, a professional landscaper should include an even mix of various types of trees, plants, shrubs, and flowers. Such a professional has the experience and knowledge to combine both living and non-living things in the area outside your home to make it a peaceful and beautiful retreat. A professional landscaper or gardener has the experience to know which plants work best together in your lawn based on several different factors, such as soil condition, amount of available space, average climate, and the state in which you live. First, the landscaper surveys your yard and determines these factors, as they affect the types of vegetation he or she can install. He or she then selects ornamental trees that are likely to thrive under these conditions. A proper landscape is a careful balance of practical and beautiful plants, bushes, and trees that attract the right kinds of insects, are pest-resistant, and can thrive in the climate in which you live. Certain types of trees and shrubs are ideal for topiary—making sculptures out of trees and bushes—while others provide beautiful flowers, deliver a pleasant scent, have matching leaves, produce fruit, or have interesting bark. A landscape professional keeps these factors in mind when selecting the best vegetation for your lawn to ensure it is as beautiful and peaceful as possible. Ornamental trees are the perfect way to enhance the landscaping around your home and in your lawn. A professional can choose ornamental shrubs and bushes that can thrive in the climate in which you live and that match the other plants already present in your lawn or garden. 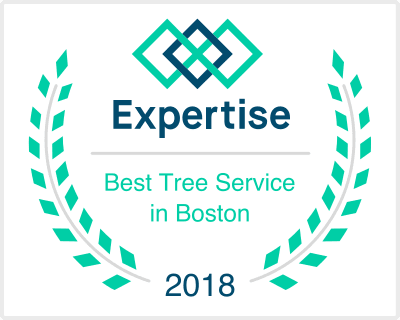 When you need to enhance the appearance of your home’s lawn or garden, you should hire a professional landscaper to use aesthetically pleasing trees to help create your outdoor paradise.